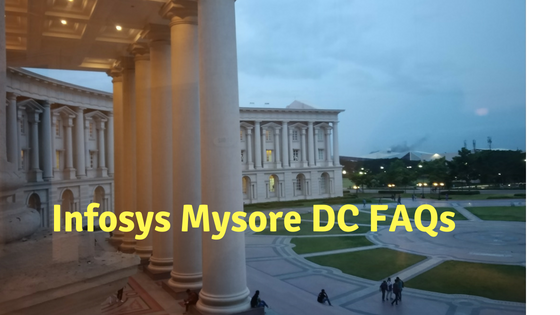 Hey Readers, Today I am going to discuss about Infosys Mysore DC Hostel Room facilities, Also called Employee Care Center (ECC). In this article I will mostly talk about what facilities you will get here at Mysore DC. I am living here at Mysore DC as a system engineer trainee. Here there are no hostels. Actually hostels are called ECC (Employee Care Center). Like ECC 92. Accommodation – There are two types of rooms available at Mysore DC. Allotment of rooms totally depends on how many trainees are there at that time. Sometimes you might get a single room facility and sometimes you might get shared rooms. For single room you have to spend RS 5500 and for shared rooms you have to spend 3500. You don’t need to pay hostel fees as it will be deducted form your salary. In Hostel room you will have Samsung television. Almost every channel is provided on that. You will get a very thick and spungy bed and pillow. You will also get blankets. Infosys printed white towels are provided. You will have wooden tables and a good chair. An almirah and a digital safe to put your promising things in that like cash and cards will be provided to you. You will also get two night lamps one near the bed and one at study table. Rooms are air conditioned but air conditioning facility will be available for you from 10 pm to 3 am. To wash your clothes paid laundry facilities are available here in different ECC’S. You have to pay rupees 50 for single wash and dry. You also need to take your own detergents. Ironing facility is free with laundry…hahah good joke. If you want to smoke or you are addicted to take cigrates then there are smoking zones available for you near every ECC. Please make sure that you don’t smoke inside the ECC because smoke sensors will detect you and you might be in trouble then. Alcohol consumption is fully prohibited inside the 339 acre campus premises. A lot of fooding facilities are available. You will have South Indian and north Indian meals options. Don’t forget to visit floating restaurant. It is not floating but surrounded with water from all sides. 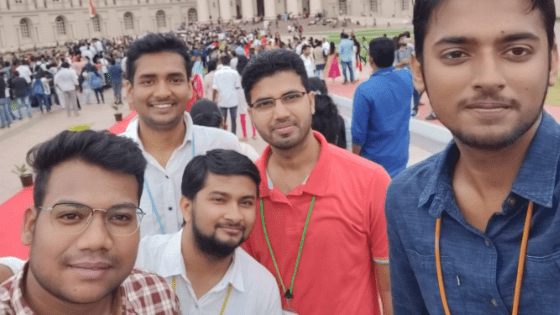 What more you have at Mysore? The environment is very green. Here you will have education centers. Software development blocks. Cricket ground, running tracks, Jim, Swimming Pool, laundry facility, Multiplex and a lot of things. You can play almost all games here like basketball, football, cricket, squash,Tennis, Badminton, Table Tennis, Carom and many more. Hospital facilities along 24*7 ambulance facility is available. For daily needs you have “Loyal world” where you can get your daily needs and other goods. Shoes are not available in loyal world. You will have ICICI and Axis banks banking facility inside the campus. There is a common saloon for boys and girls on different timings. Thousand of cycles are available just to travel one building to other or to your ECC’s. 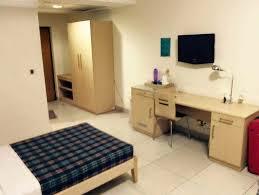 If you have any query about Infosys Mysore DC Hostel Room facilities-you can comment below. How many people can share a room(men)? 2 people can share … Not more than that. Hi , please tell can we request them to get shared room with the person we know ,will they allow ?? And one more question if know about it please tell the best possible way to reach infosys mysore campus from banglore airport ? I will be joining there 15 October 2018. Ya, for shared room facility, You can request and they will give you as well. There is a direct bus service from Bangalore airport to Mysore Bus Stand. You can Take that. it will take 3-4 hours. Good luck. I am also here at Mysore now. i will reside here till 10th of October. Thanks, are u also coming to Infosys Mysore?